The Times and Sunday Times is considered the most trusted quality indicator of universities in the UK, and the publication of their annual UK university rankings each year is considered a huge event all over the world. 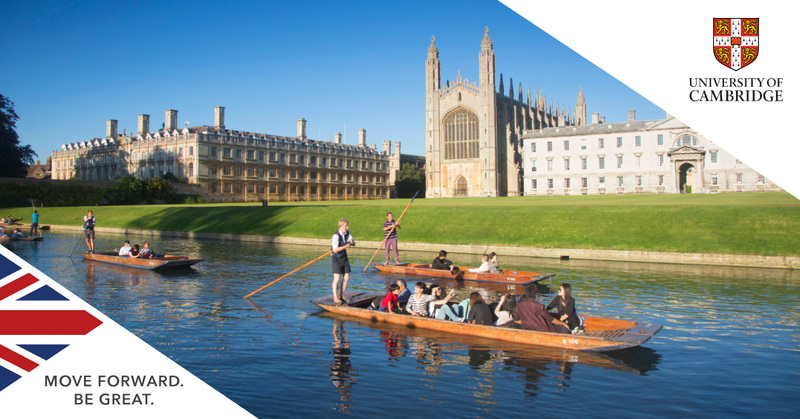 Of the 129 universities featured in the 2019 edition, it is the University of Cambridge who have finished top once for the sixth year in a row. Learn a little bit more about Cambridge, as well as the rest of the top five universities in England, below. If you are ready to apply, contact SI-UK in London or Manchester today where we can take you through all of your available study options, help you find your dream and course and fill in your application. The University of Cambridge finished top of the Times and Sunday Times ranking for the sixth year in a row in 2019, whilst also finishing first in more than half of the guide’s 66 subject tables. Cambridge also remains in the top five in all three main world university rankings. As a collegiate university, Cambridge is unusual for having no campus and as such is essentially a group of 31 self-governing colleges coming under one Cambridge banner. The University has produced 89 Nobel winners to date, while the city has some of the most ancient and iconic buildings found anywhere in the UK. Despite narrowly losing out to Cambridge again in this year’s edition of the rankings, the University of Oxford maintained its top two position in the table and remains one of the best universities in the world. The University has won ten Queen’s Anniversary Prizes for Higher Education, more than any other university. Oxford also operates a collegiate system, and the University currently has more world leading academics as part of its staff than any other UK university (Complete University Guide), whilst also being the best in the UK for its quality of research (REF 2014). After Cambridge and Oxford, Imperial College London have some of the toughest entry requirements in the UK to meet if you wish to study here, but its world class reputation across a range of subjects, including science, engineering and medicine, make it worth the effort to apply. Based across nine different campuses in London, the student's union has one of the largest selections of clubs and societies in the whole of the UK, meaning plenty to do away from your studies. Imperial also scored Gold in the most recent Teaching Excellence Framework, and has a world class reputation for research. Long known as the place to study if you are interested in sport, Loughborough's growing global reputation across all subjects, including art and engineering, mean it is now considered the perfect place to study for students interested in a variety of different areas. Lancaster is one of only a handful of universities with a collegiate system which continues to be a distinctive feature of student life at Lancaster. Students from one hundred countries make up a thriving community based around our nine colleges, creating a culturally diverse campus in a location that boasts the combination of city, coast and countryside. If you are you interested in applying to any of the above universities, arrange your free consultation with SI-UK in London or Manchester today. Our full of range of university application services can help you secure a UK university offer, including the Oxbridge Service, which specialises in Cambridge and Oxford applications.